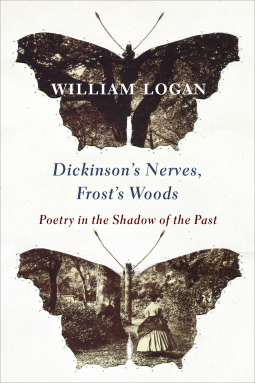 Dickinson’s Nerves, Frost’s Woods: Poetry in the Shadow of the Past (Hardcover) by William Logan is the examination of several well-known poems. Logan is Alumni/ae Professor and Distinguished Teaching Scholar at the University of Florida. He is the author of The Undiscovered Country: Poetry in the Age of Tin (2005); Our Savage Art: Poetry and the Civil Tongue (2009); and Guilty Knowledge, Guilty Pleasure: The Dirty Art of Poetry (2012), all from Columbia University Press, as well as eleven books of poems and other works of criticism. Poetry is a subject I recently picked up without much background on the subject except for an undergraduate English Literature class. I enjoy classic poetry as well as review modern poetry. I will admit that sometimes poetry does not make sense, for example, Gertrude Stein’s Tiny Buttons is still a mystery to me, and it took over a year before I could get a grasp on Eric Linsker’s La Far. Logan puts the poems in his essays into historical context. This is something I can appreciate as my undergraduate degree is in history. The compositions start right off with a double dose of history with Shelley’s “Ozymandias.” History is presented in both the Egyptian king and in Shelley’s life. The poem is well dissected and compared to Horace Smith’s of the same title. Logan, in his essays, examines the title poem to another of a similar time or subject. Ezra Pound’s “In A Station of the Metro” is discussed. Pound is another poet that I have trouble with and the information presented is beneficial. The complexity of Pound’s condensed work paired with William Carlos Williams’ “The Red Wheelbarrow. It seems like a simple poem is rather complex when analyzed. Logan goes deep into the poem. The wheelbarrow and chickens belonged to Thaddeus Marshall and old African-American that Williams knew growing up. Logan includes census information, a map, and pictures of Marshal and his house. Logan’s essays provide insight into the poems and to their context in time. Poetry does not stand alone. It has a history and its own roots in time and place. I received a review copy of this book but was unable to read the text in the electronic copy. I was taken in by the premise so much that I bought a hardback copy to review. I was not disappointed. Very informative and enlightening. Evilcyclist's Blog · Bikes, Books, and….